With his new album “Recovery” just out, Eminem talks about how he stays clean and sober today, and what it took for him to get help 2 years ago. The 37 year old rapper is now 2 years in recovery from a length battle with prescription drugs. During the depths of his addiction he admits he was taking, “anything that anybody was giving to me" including the methadone pills that he admits almost killed him. 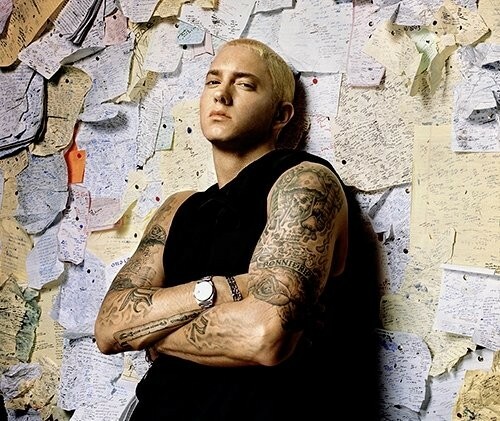 Eminem, who opens up about his battle with addiction once again on his just released album, ‘recovery’ says that he couldn’t find what he needed at a drug rehab. He explains, "I felt like Bugs Bunny in rehab. When Bugs Bunny walks into rehab, people are going to turn and look. People at rehab were stealing my hats and pens and notebooks and asking for autographs. I couldn't concentrate on my problem."